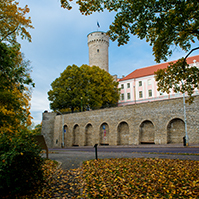 The Riigikogu passed with 74 votes in favour the Act on Amendments to the Penal Code, the Code of Criminal Procedure, the Mental Health Act, the Punishment Register Act, the Probation Supervision Act and the Health Care Services Organisation Act (176 SE), initiated by the Government. The aim of the amendments is to allow the imprisonment of a convicted offender to be partially replaced by treatment, as an alternative, in the case when a person has committed an offence due to a curable or controllable mental disorder and there is a risk that he or she may commit a new similar offence in the future. The target group of the treatment are persons who have committed sexual offences and who at the same time have a diagnosis of paedophilia or any other sexual orientation disorder (paraphilia) and who agree to the treatment. Within the meaning of the Act, complex treatment of sexual offenders is a combination of medicamental treatment and psychotherapeutic treatment (therapy/counselling), the aim of which is to cure the sexual orientation disorders of a person or to keep them under control. As one possibility, treatment is planned to be applied as a prerequisite for releasing a prisoner before the prescribed time. The Act enters into force on 1 June 2013. 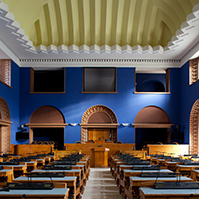 The Act on Amendments to the Code of Enforcement Procedure (183 SE), initiated by the Estonian Centre Party Faction, was passed with 84 votes in favour. The aim of the Act is to clearly provide that, in the process of expropriation of an immovable, in addition to the decision of the county governor, a decision of the Minister of Economic Affairs and Communications may serve as the enforcement instrument (upon expropriation for the construction or acquisition of a national road or a public railway), and a decision of a rural municipality or city government may serve as the enforcement instrument (upon expropriation for the construction or acquisition of a local road). The initiator confirmed that this will prevent disputes on whether these documents may serve as enforcement instruments in the process of expropriation of an immovable. The Act on Ratification of the Agreement between the Republic of Estonia and the Organisation for the Prohibition of Chemical Weapons on the Privileges and Immunities of the OPCW (194 SE), initiated by the Government, was passed with 79 votes in favour. The aim of the Agreement is to grant the Organisation for the Prohibition of Chemical Weapons (OPCW) the privileges and immunities which it needs in the independent exercise of its functions. Differently from usual diplomatic privileges and immunities, it is not the interest of states to follow the principle of reciprocity, but to let the OPCW function independently, efficiently and without fear of intervention. Upon the application of the Agreement, the OPCW and the officials related thereto are guaranteed privileges and immunities similar to those enjoyed by other international organisations and diplomatic representatives of foreign countries. On the motion of the Economic Affairs Committee, the second reading of the Bill on Amendments to the Electricity Market Act and Other Associated Acts (139 SE), initiated by the Government, was concluded. The purpose of the Bill is to harmonise the Directive of the European Parliament and of the Council concerning common rules for the internal market in electricity, and some parts of the Directive of the European Parliament and of the Council on the promotion of the use of energy from renewable sources. At the same time, the market participants are informed of the full opening of electricity market in 2013. During the second reading, several motions to amend the Bill have been submitted by the Economic Affairs Committee. According to one amendment, the term for the cancellation of a contract for the use of the network connection will be extended to ninety days in the period 1 October until 30 April for all customers who are natural persons whose household’s heating system would not function without electricity. At present, the term of 30 days applies to the customers for whom electricity is not the main heating source. A consumer will have an obligation to inform the network operator of this fact so that the operator can take this into account. The Bill was sent to the third reading. On the motion of the Legal Affairs Committee, the second reading of the Bill on Amendments to the State Fees Act, the Code of Civil Procedure and Other Acts (206 SE) was concluded. The aim of the Bill is to correct the current state fee rates, to simplify the system of calculation of state fees, and to encourage the use of the public e-file information system intended for parties to proceedings. 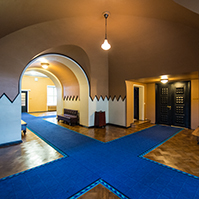 It also intends to bring the level of the Estonian state fees depending on the value of an action closer to the average of reference countries. According to an assessment provided in an analysis of the Ministry of Justice, the Estonian state fees are 334.93% higher on the average in comparison with other European Union countries. The Bill was sent to the third reading. On the motion of the Legal Affairs Committee, the second reading of the Bill on Amendments to the Police and Border Guard Act and the Maritime Safety Act (158 SE), initiated by the Government, was concluded. The Police and Border Guard Act is amended by adding a new chapter which provides the legal bases of the activities of voluntary sea rescuers in order to involve them in the activities of the police in carrying out search and rescue work in inland and territorial sea waters, on Lake Peipus, Lake Lämmijärv, Lake Pskov or another transboundary water body upon search and rescue of a person, vessel, aircraft or vehicle in danger or gone missing. The Bill regulates the general principles, competence, organisation of work, and training of voluntary sea rescuers, and the measures applied by them; the recognition, benefits and guarantees of a voluntary sea rescuer; the requirements for voluntary sea rescuers; and the release from the status of voluntary sea rescuer. The Bill was sent to the third reading. On the motion of the Legal Affairs Committee, the second reading of the Bill on Amendments to the Code of Criminal Procedure and Other Associated Acts (175 SE), initiated by the Government, was concluded. The aim of the Bill is to update the regulation of surveillance and to bring it into conformity with the Convention for the Protection of Human Rights and Fundamental Freedoms and the practice of the court, as well as with the Constitution. As compared to the current law, the Act provides tighter requirements for conducting surveillance activities, and the acts which are not surveillance activities in their essence are excluded from the range of surveillance activities. One amendment made by the Legal Affairs Committee in the second reading provides that, upon notification of a person of the surveillance activities conducted with regard to him or her, the procedure for appeal will also have to be explained to the person. The Bill was sent to the third reading. On the motion of the Cultural Affairs Committee, the second reading of the Bill on Amendments to the Research and Development Organisation Act, the Study Allowances and Study Loans Act and the Universities Act (162 SE), initiated by the Government, was concluded. The aim of the amendments is to provide specifications which will allow to enter into a contract of employment with a Doctoral candidate in order to enable him or her to work in the position of a junior research fellow. According to the Bill, reasonable specifications arising from the particularity of the employment relationship of Doctoral candidates are provided in the Universities Act, in comparison to the Employment Contracts Act, and amendments to this effect are also added to the Study Allowances and Study Loans Act. The Bill was sent to the third reading. On the motion of the Economic Affairs Committee, the second reading of the Bill on Amendments to the Natural Gas Act (166 SE), initiated by the Government, was concluded. The amendments provide for ownership separation of gas transmission networks from production and commercial activities. The aim of the amendments is to increase Estonia’s energy security and to promote competition in the gas market, which will ensure a more favourable price for end-users of gas. The Bill brings the Natural Gas Act into conformity with the corresponding directive of the European Parliament and of the Council concerning common rules for the internal market in natural gas. According to the Bill, the enterprise AS Eesti Gaas which is in a monopoly position will have to sell the gas transmission networks by 1 January 2015 at the latest to a company whose owners do not include gas producers or sellers with a dominant influence. During the second reading, the Economic Affairs Committee had decided to submit, among others, a motion to amend the Bill to abandon the idea of expropriation of the gas network. The Bill provides for a penalty payment in the case when the system operator fails to perform the duty imposed on it by law to make an ownership separation of the gas transmission network from the seller of gas. According to the Bill, upon failure to comply with the precept, a penalty payment may be applied with regard to the system operator with an upper limit of 1.2 million euro per calendar year; however, it may not exceed 10% of the year’s turnover of the last audited year. It will be possible to impose penalty payment as of 1 January 2015 which, in the opinion of the Committee, will leave ample time for the network owner to transfer the network. In addition to the above, the Committee had specified the conditions on the basis of which the value of the transmission networks and the amounts of network charges would be calculated. The Social Democratic Party Faction moved to suspend the second reading of this Bill. 28 members of the Riigikogu voted in favour of the motion and 44 voted against. Thus, the motion was not supported and the Bill was sent to the third reading. On the motion of the Economic Affairs Committee, the second reading of the Bill on Amendments to the Competition Act (195 SE), initiated by the Government, was concluded. The aim of the Bill is to ensure more specific regulation of this sphere in order to organise the granting of state aid more effectively, and to harmonise the definitions used in the Competition Act with those used in the European Commission legislation concerning state aid. The Bill was sent to the third reading. On the motion of the Economic Affairs Committee, the second reading of the Bill on Amendments to the State Fees Act and the Public Transport Act (203 SE), initiated by the Government, was concluded. The aim of the amendments is to specify and update the regulation of the State Fees Act, including the procedure for the payment of the state fee for changing of time tables and the requirements for exemption from the state fee. On the other hand, the state fee rate charged for the issue of transit registration plates is lowered, all acts relating to type approval are consolidated into one section, the state fee rate charged for the documentation of the amendments of register data concerning mopeds is established, the state fee for the issue of a registration certificate is reduced if it certifies full compliance with roadworthiness requirements, definitions are harmonised with the new Traffic Act and the regulation relating to the obtaining of data from the traffic register is changed. The Bill was sent to the third reading. On the motion of the Social Affairs Committee, the second reading of the Bill on Amendments to the Funded Pensions Act, the State Pension Insurance Act and Other Associated Acts (213 SE), initiated by the Government, was concluded. The wider aim of the Bill is to support the increasing of the birth rate by implementation of the parental pension. This Bill provides for the making of a supplementary funded pension contribution related to raising a child and the payment of a pension supplement on the basis of the provisions of the State Pension Insurance Act with the aim of compensating for the potential reduction of pension of the parent in the future as a result of raising a child. According to the Bill, the state will pay 4% on the national average remuneration subject to social tax to the second pillar pension of the parent to one parent of a child born on 1 January 2013 or later for raising the child, until the child attains three years of age. The state will also pay a pension supplement in the amount of the value of two years of pensionable service to one parent of a child born during the period 1 January 1991 to 31 December 2012 with a view to ensuring solidarity between generations, and, as of 1 January 2015, an additional pension supplement in the amount of the value of one year of pensionable service to one parent of a child born before 1 January 2013. The Social Democratic Party Faction moved to suspend the second reading of this Bill. 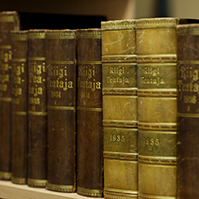 18 members of the Riigikogu voted in favour of the motion and 44 members voted against. Thus, the motion to suspend was not supported and the Bill was sent to the third reading. On the motion of the Constitutional Committee, the second reading of the Anti-corruption Bill (192 SE), initiated by the Government, was concluded. The aim of the Bill is to increase the transparency of public administration, to prevent corruption of higher officials, to improve the reliability of the system of publication of the interests of officials, and to reduce the administrative burden. The Bill establishes a new electronic register of declarations of interests and determines officials who will have to submit their information to the register, and persons who will have the right to check the information in the register. It also defines officials whose declarations will be public. In order to view the public data of a declaration, a person will have to identify himself or herself by a digital identity card. The register of declarations of interests is planned to be implemented from 1 January 2014. In addition, the Bill extends the range of officials who may be requested to submit a declaration. The Bill is based on the principle that official position comprises the cases when, upon performance of public duties, a person’s competence includes activities which enable to create advantages for himself or herself or to grant them to another person, and, consequently, there is at least an abstract risk that the person may misuse his or her competence. As a significant amendment, the Bill also reduces the restrictions on the activities of officials, allowing officials to engage in any other activities outside their official duties if this is not prohibited by law, and procedural restrictions are observed. So an official will be allowed to act as an undertaking or general partner in a general or limited partnership, as a member of the management or controlling body of a legal person, in an elected or appointed office, as well as on the basis of a contract of employment or a contract for the provision of a service. The Bill is an updated version of the Anti-corruption Act initiated on 11 June 2009 which was withdrawn from the legislative proceeding due to termination of the authority of the composition of the Riigikogu. The Bill was sent to the third reading. On the motion of the National Defence Committee, the second reading of the Defence Forces Service Bill (172 SE), initiated by the Government, was concluded. The general aim of the Act is to organise and update the regulation of Defence Forces service and to bring it into conformity with the changes in the society. The elaboration of the new Defence Forces Service Bill had mainly been motivated by the Defence Forces Organisation Act which entered into force in 2009 and the new Public Service Bill. Service in the Defence Forces is one of the specific types of public service and therefore it is necessary to harmonise the principles of the service in the area of administration of the whole state. The Bill observes the principle according to which the Defence Forces and members of the Defence Forces are led by the Commander of the Defence Forces. The Minister of Defence establishes the rules organising the service arising from this Bill by Regulations but does not interfere with the day-to-day leading of the Defence Forces. The Bill has been elaborated in view of the two-pillar model of the management of national defence and tries to determine as exactly as possible the competence of the Commander of the Defence Forces as a professional leader of the armed forces as well as the competence of the Minister of Defence as a political leader of national defence. The Defence Forces Service Act provides for the subjects of the duty to serve in the Defence Forces, Defence Forces service and alternative service, their legal status, the organisation of the performance of the duty to serve in the Defence Forces and the encouragements applied to a member of the Defence Forces, the bases for disciplinary liability, disciplinary punishments and the procedure for disciplinary proceedings. The Bill provides the conditions of service in peace-time and in the circumstances of a state of emergency. This Bill was sent to the third reading. On the motion of the National Defence Committee, the second reading of the Defence Forces Service Act Implementation Bill (173 SE), initiated by the Government, was concluded. This Act provides for the time of the entry into force of the Defence Forces Service Act and its aim is to establish the conditions and procedure for the implementation of the Defence Forces Service Act. Besides providing the procedure for transition from the current regulation to the new regulation, this Act provides amendments to other Acts which have a contact with the Defence Forces Service Act which was in force so far or which need to be amended due to the passage of the new Defence Forces Service Act. The Bill was sent to the third reading. 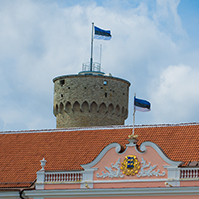 On the motion of the National Defence Committee, the second reading of the Bill on Amendments to Acts passed with Majority Vote of Riigikogu related to the Defence Forces Service Act (174 SE), initiated by the Government, was concluded. 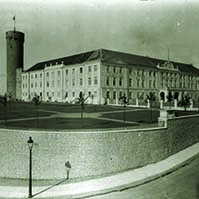 The aim of the Bill is to bring the European Parliament Election Act, the Citizenship Act, the Local Government Council Election Act, the Peace-Time National Defence Act, the Riigikogu Election Act, the War-Time National Defence Act and the President of the Republic Election Act into conformity with the amendments made to the Defence Forces Service Act. The amendments made to these Acts mostly concern terminology, for example, the concept “regular member of the Defence Forces” is replaced by the concept “member in active service of the Defence Forces”. At the same time, the establishing of the mobilisation register is transferred from the Defence Forces Service Act to the Peace-Time National Defence Act. The Bill was sent to the third reading. On the motion of the Environmental Committee, the first reading of the Bill on Amendments to the Ambient Air Protection Act, the General Part of the Economic Activities Code Act and the State Fees Act (232 SE), initiated by the Government, was concluded. The aim of the Bill is to bring the provisions of the Acts into conformity with the corresponding Regulation of the European Parliament and of the Council on substances that deplete the ozone layer and to create preconditions in Estonia for full implementation of the Regulation of the European Parliament and of the Council on certain fluorinated greenhouse gases as well as its implementing Regulations. The Bill was sent to the second reading. On the motion of the Social Affairs Committee, the first reading of the Bill on Amendments to the Health Insurance Act and the Social Benefits for Disabled Persons Act (229 SE), initiated by the Government, was concluded. The Bill has been elaborated with the aim of reducing the cost-sharing by insured persons upon payment for medicinal products and thereby improving the availability of medicinal products, and enhancing the functioning of the family physicians system and the increasing of the “goalkeeper” role of family physicians, by optimising the expenses of the Estonian Health Insurance Fund in paying for the visits to medical specialists and the time needed by insured persons for receiving relevant medical care. The Social Benefits for Disabled Persons Act is amended by adding a subsection which provides for the issuing of a disabled person’s card which certifies the degree of severity and duration of the disability. The Bill was sent to the second reading. On the motion of the Legal Affairs Committee, the first reading of the Bill on Amendments to the Social Tax Act and Other Associated Acts (222 SE), initiated by the Government, was concluded. The purpose of this Act is to transpose the directive of the European Parliament and of the Council on the application of the principle of equal treatment between men and women engaged in an activity in a self-employed capacity. For ensuring equal treatment and elimination of restrictions on enterprise, similar social benefits must be guaranteed both for men and women. The Bill was sent to the second reading. The first reading of the draft Resolution “Grant of Consent to Increasing the Quota of the Republic of Estonia in the International Monetary Fund” (230 OE), submitted by the Government. The Resolution increases the quota of the Republic of Estonia in the International Monetary Fund by 149 700 000 SDR, that is, by circa 175 billion euro. The draft Resolution was sent to the second reading. On the motion of the Finance Committee, the first reading of the Bill on Approval of Amendment of the Articles of Agreement of the International Monetary Fund (231 SE), initiated by the Government, was concluded. The Act approves amendments to the Articles of Agreement of the International Monetary Fund (IMF) arising from the Resolution of the Board of Governors of the IMF adopted on 15 December 2010 which contains proposals on the fourteenth general review of quotas and the reform of the Executive Board of the International Monetary Fund, leading to amendment of the Articles of Agreement of the IMF. The Bill was sent to the second reading. On the motion of the Cultural Affairs Committee, the second reading of the Public Service Bill (193 SE), initiated by the Government, was excluded from the agenda for this working week.